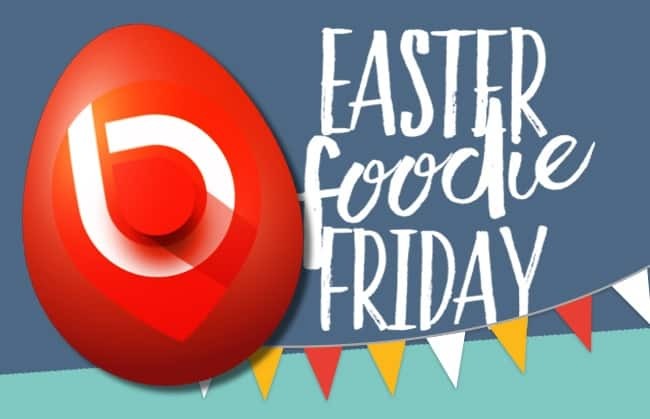 Easter Foodie Friday is back! Foodie Friday is back for Easter! And this time there will be eggtra eggcitment! Join us on Friday 23rd March from 12 – 2pm on the lawn outside Virgin Active for street food, live music and more! We are hosting a special egg hunt which could win you to a FREE meal at one of our vendors! Click read more to find out more…..
We will also be voting for our 2018 charity – visit out voting table to pick which cause we support during 2018! We have had some great suggestions from our park community. Mark your selection with an eggx! Only one egg can be redeemed per person. One person cannot redeem multiple free meals. You must redeem your meal from the vendor that is linked with the colour egg you find. Free meals can only be redeemed at the event on Friday 23rd March 2018. Each egg entitles you to a meal only, any additions of drinks or sides will need to be paid for by the customer.